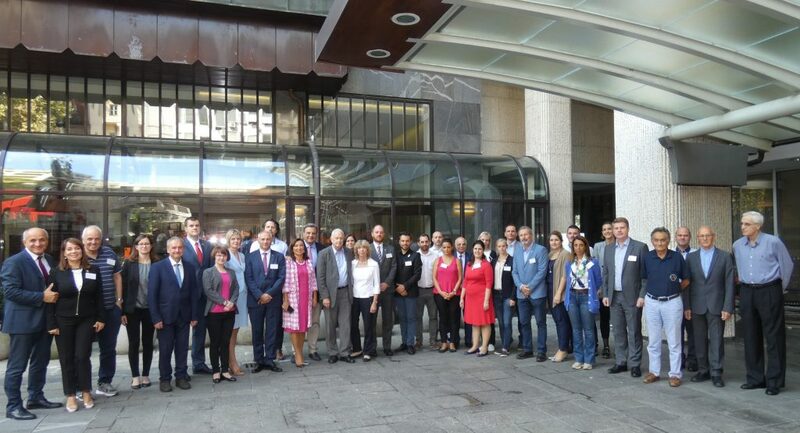 The President of the International Olympic Academy, Isidoros Kouvelos, is in Ljubljana for the 4th Congress of the European National Olympic Academies as well as the establishment of the European Association of National Olympic Academies. “The European Association of NOAs can be the driving force to the achievement of these objectives, since the idea of joining forces will strive and partnership will excel, creating a fertile ground for developing our way of thinking, to be able to listen to, inspire each other and to understand that one of the most important things in life is to share our beliefs and ideas. Only then, will the fundamental principles of the Olympic Movement become an integral part of our living. The President of the European Olympic Committees, Janez Kocijancic, the President of the European Paralympic Committee, Ratko Kovacic, and the President of the Olympic Committee of Slovenia, Bogdan Gabrovec, attended Isidoros Kouvelos’ address.